Obituary for Linda (Myers) Sallee | Thompson-Marodi Funeral Home, Inc.
Linda Myers Sallee, 67, of Bentleyville passed away peacefully at 9:09 p.m. Thursday, July 5, 2018, in her home on the family farm. Linda was so strong in her faith in God and a beacon of light and hope to all who knew her. She was born September 21, 1950, a daughter of Lloyd and Bertha Myers. Linda was a 1968 graduate of Bentworth Senior High school, a graduate of California University of Pennsylvania where she achieved her undergraduate degree in Early Childhood Education and earned a master’s degree as a Reading Specialist. She went on to obtain the credential of National Board Certified Teacher. 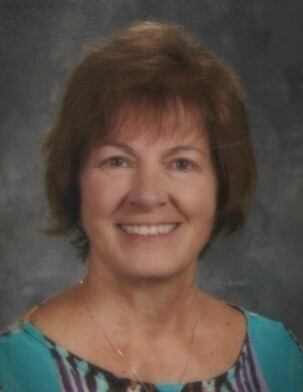 Mrs. Sallee was a retired Elementary school teacher from the Peters Township School District. Being an Educator was a true joy to her. Continuing with her passion for helping children, Linda became a Court Appointed Special Advocate for Children in Washington County, Pa.
Linda regularly attended the South Hills Bible Chapel and was a member of the Union Holiness Association of Bentleyville, where she served on the board of directors. On June 6, 1970, she married the love of her life, husband of 48 years Edward Sallee, who survives. Also surviving are her loving children, daughter Lorrie Sallee Covolesky (Richard), and two sons Brent Edward Sallee (Amy), and Ryan Matthew Sallee (Donna). She was a fun-loving Nana to her “six perfect grandchildren”; Kayla Nicole and Madison Riley Covolesky, Kaitlyn Amelia and Amber Rae Sallee, and Ethan James and Noah Edward Sallee. She is also survived by two brothers; James R. Myers (Gwen), Paul L. Myers (Jean), and one sister Beth A. Myers, along with many nieces, nephews, several aunts, uncles, and cousins. Friends and family will be received on Tuesday, July 10, 2018 at South Hills Bible Chapel, 300 Gallery Drive, McMurray, from 9:30 a.m. to 11:30 a.m. with services beginning at 11:30 a.m. with Ron Moore, officiating. Interment will follow at Mon Valley Memorial Park, Donora. In lieu of flowers, the family suggests memorial contributions be made to Union Holiness Association of Bentleyville, 128 Oakford Lane, Buffalo Mills, PA 15534. Visit www.thompson-marodi.com to leave a condolence message. Arrangements in care of the Thompson-Marodi Funeral Home, Inc., 809 Main Street, Bentleyville, 724-239-2255.